SPREAD MORE HELP AND HOPE ! NOW YOU CAN EARN WHILE YOU LEARN !! 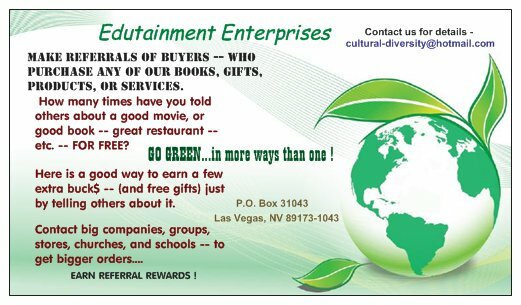 EDUTAINMENT ENTERPRISES will publish a DIRECTORY of ADS and ESSAYS re: services, programs, books, films, agencies, non-profits, (etc.) ... regarding groups or individuals that offer something valuable to the general community. If you have seen the TV-show: "CNN HEROES" -- then you have seen the types of stories (essays) that we would like to publish. And we would like to fill this directory with sources for assistance, financial rewards, education, healthy products, books, business services, training, (etc.) and anything that offers hope or help to people. 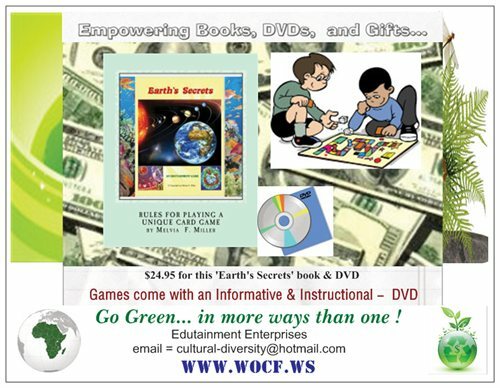 HAVE YOU PUBLISHED ..... A BOOK, NEWSLETTER, MAGAZINE, OR MADE A RECORDING ...produced a CD or DVD ... discount catalog, new fashions, recipes, inventions, or other products that you would like to promote widely? DO YOU OFFER A BUSINESS OR SERVICE that is benefiting schools, youth teams, the homeless, elderly, minorities, disadvantaged children, or non-profit services...or other good POSITIVE causes? ARE YOU CONCERNED about pollution, deforestation, or "CLIMATE CHANGE" and other environment issues? DO YOU OPERATE A SMALL BUSINESS or ONLINE ENTERPRISE (with a website offering healthy products or wholesome services) -- and would like more exposure - promo and publicity ? WOULD YOU LIKE TO BE PART OF A GROWING OPPORTUNITY...to do something meaningful -- and get more promo ? It is simple...just place your ad or story in our DIRECTORY. NO CHARGE FOR SERVICE STORIES: Stories, reports, and essays submitted concerning a *NOTEWORTHY helpful* non-profit service, food bank, green energy services, or school program, homeless shelter (or similar) will be published FREE of charge. You can write up an essay about something in your community -- and include their contact info -- and what they have done that is NOTEWORTHY. Ask the director of said program or service for their permission in writing to publish that story (and a photo) -- and include that with your SUBMISSION. We will consider all such stories for publication.There are small fees for other ads for commercial busineses, MLMs, mail order, online services, etc. Become an "EDUTAINMENT SUPPORTER"...and place your own AD or SHORT STORY re:your projects in our DIRECTORY...which will be widely distributed. "It is a cruel jest to tell a man with no shoes to pull himself up by his bootstraps." One of the best ways that we can improve our economy and the ecology is to offer others a helping hand. This book is filled with resources for those who may be looking for help...and also for those who may want to offer assistance to others. FOR THOSE WHO ARE UNEMPLOYED and POOR...there are resources for you in this directory. FOR THOSE WHO ARE WELL-OFF...you can find something for you also...or you may want to donate to some of the groups that offer assistance to the needy. Read stories and articles about people who have been offering great services to our communities. 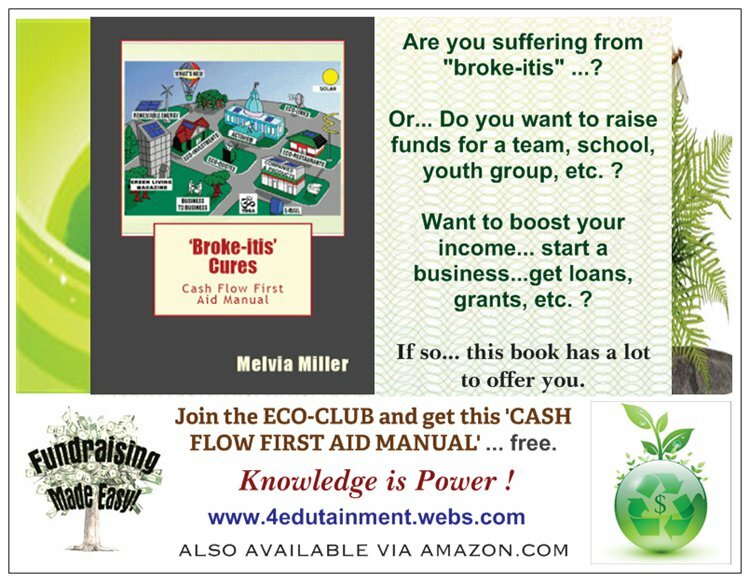 Edutainment Supporters have contributed info, stories, and promo about groups, programs, and agencies which are offer services, products, books and other ways of helping to make this world a better place. Available online at AMAZON.COM. 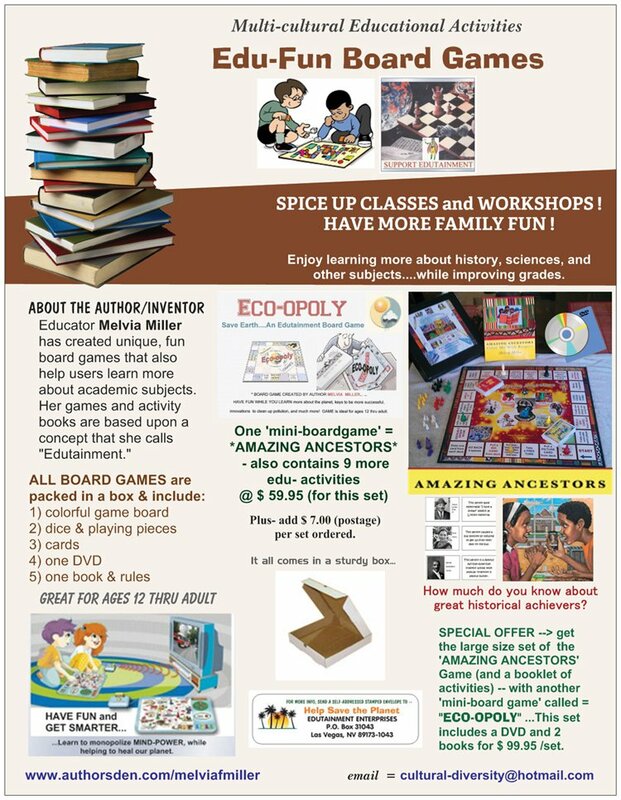 Author Melvia Miller has designed a unique board game called"Eco-Gold Rush" --which is based upon her ideas of spicing up classes and teaching about cultural issues, Ecology, and learning to apply 'academics" --- math, science, history, geography (etc.) in real life situations. 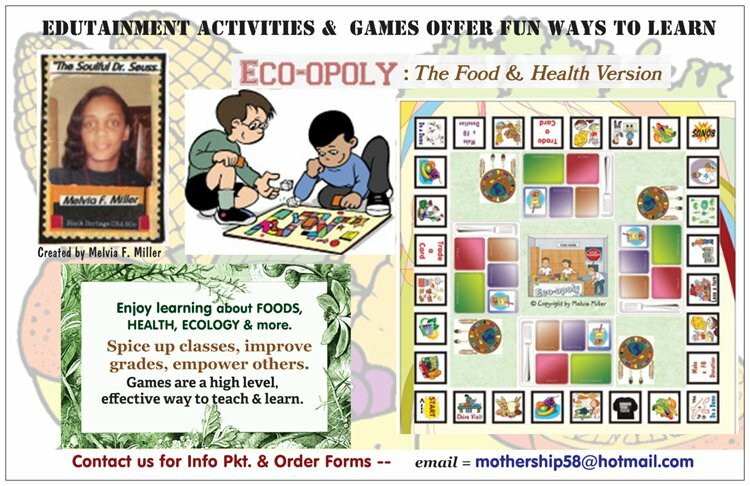 She is an instructional designer who has published several workbooks and games. The new BOARD GAME and the DIRECTORY will be widely promoted. Plus -- SUPPORTERS will get free copies of that DIRECTORY, in which their essay/story or ad appears -- with free books, a DVD -- and other gifts. 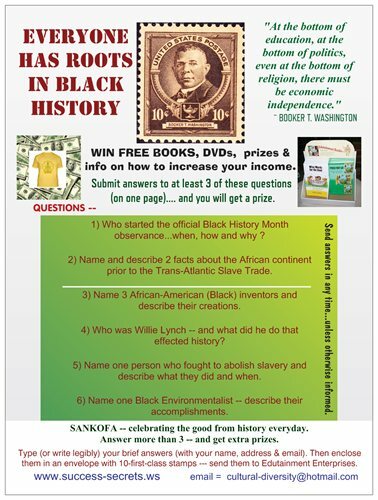 **AND...participants will receive a free book that explains the origins, design, concept, objectives, details, and set-up of the "ECO-GOLD RUSH" GAME. 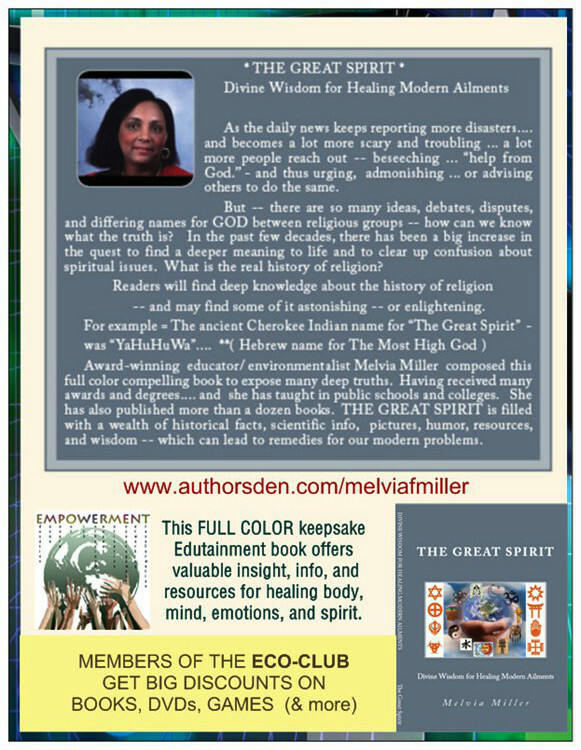 understanding of God and spiritual issues. Send $5.00 for a full info packet and get our full color catalog with it. 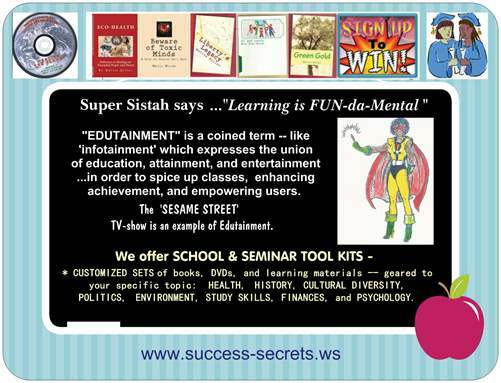 Click here to Earn and Learn as an EDUTAINMENT SUPPORTER online.